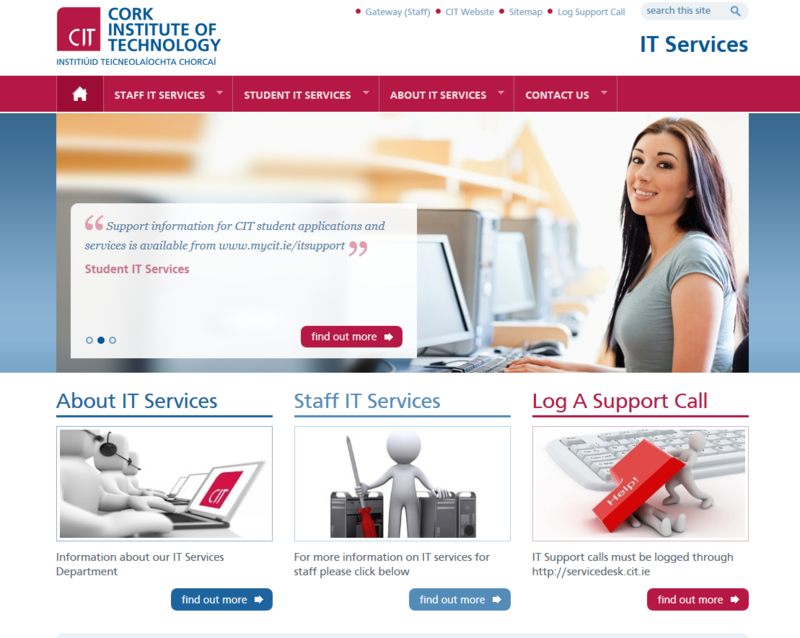 Accessing the IT Services website, http://its.cit.ie/, and clicking on the appropriate link. 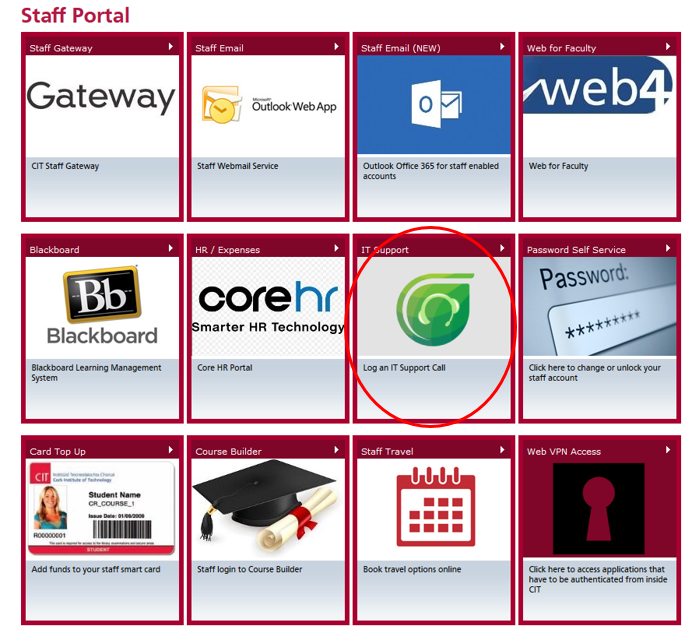 Accessing the Staff Portal http://www.cit.ie/gateway, and clicking on the appropriate link. Going directly to the service desk website, http://servicedesk.cit.ie. Ringing the Service Desk (ext. 5050). 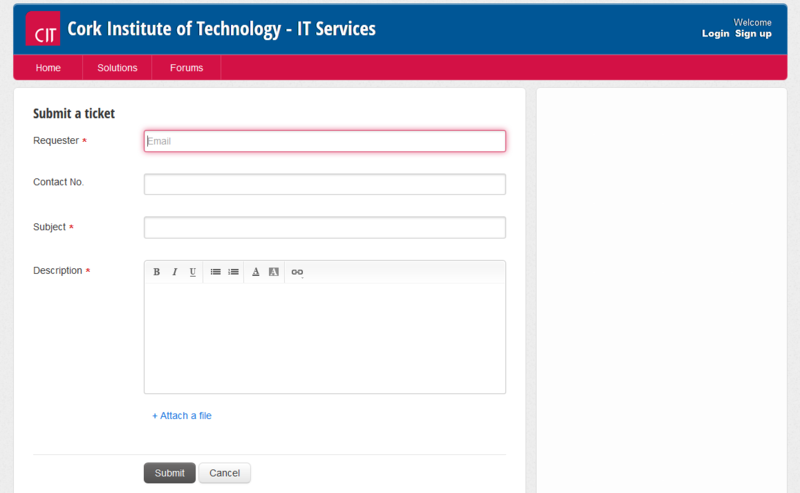 Sending an email to servicedesk@cit.ie. Call in person to the IT Services Helpdesk in the Berkeley Building. To log a support call, click on “New support ticket”. Type in your email address, contact number, subject and a description of the IT issue you are experiencing and click on Submit. Once your call is logged, you will receive an email with a ticket number. Your call will be assigned to a member of the IT Services technical team. If the call is specific to your PC/laptop or faculty/department software, it will be forwarded to a member of your faculty IT technical team. It may be worthwhile looking at the Frequently Asked Questions of the Service Desk website which is updated regularly as many of the questions you may have could already be answered here. Entering your query will bring you to this section or you can view the Forum section. 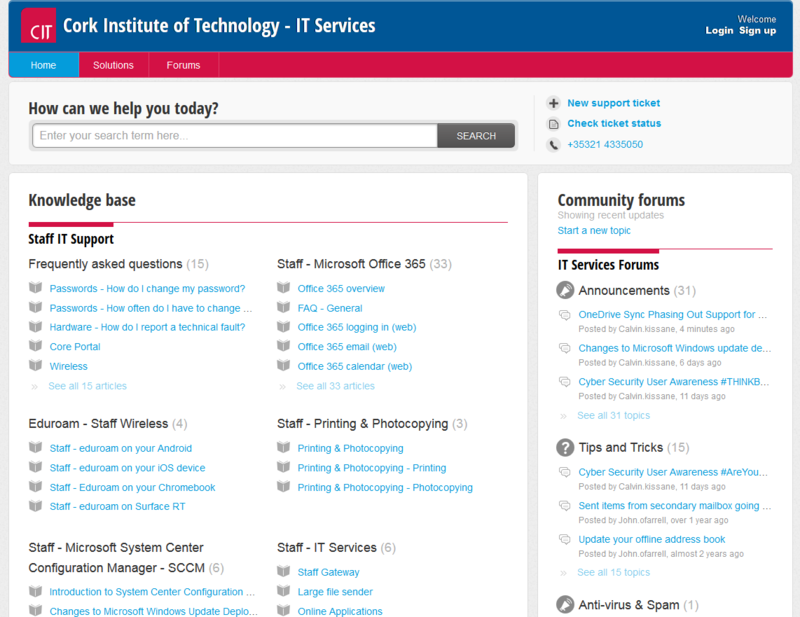 Where are the IT Services Help Desks located? The Help Desk service is available to all staff and students. Location: Berkeley Building, CIT Campus. 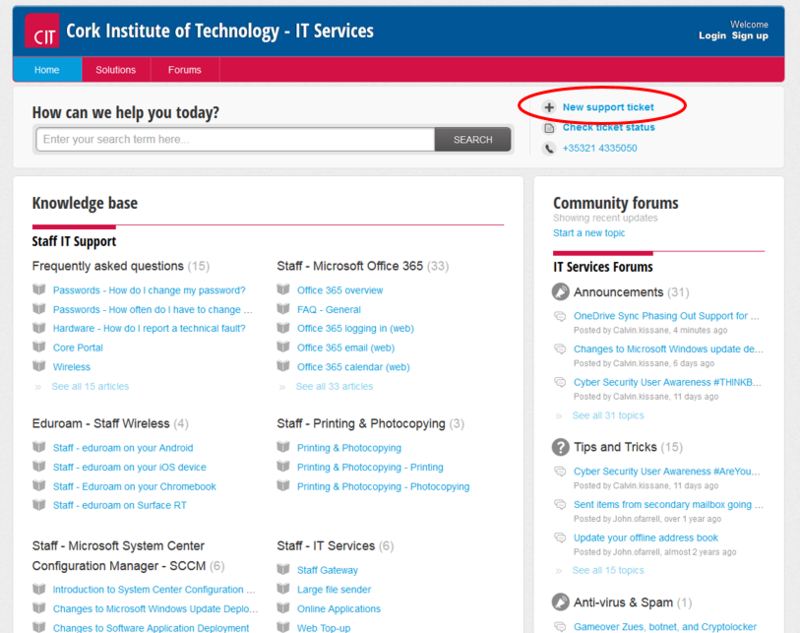 Who are my Faculty IT Technical Support Staff? Each Faculty has its own IT Technical Staff associated with it who will deal with IT issues outside the remit of the IT Services Helpdesk.